This is the one-stop Poké Stop for all things Pokémon; whether you want to add more more games to your Nintendo 3DS collection, collect Pikachu plushies or need a portable battery to help you on your Pokémon GO adventure! 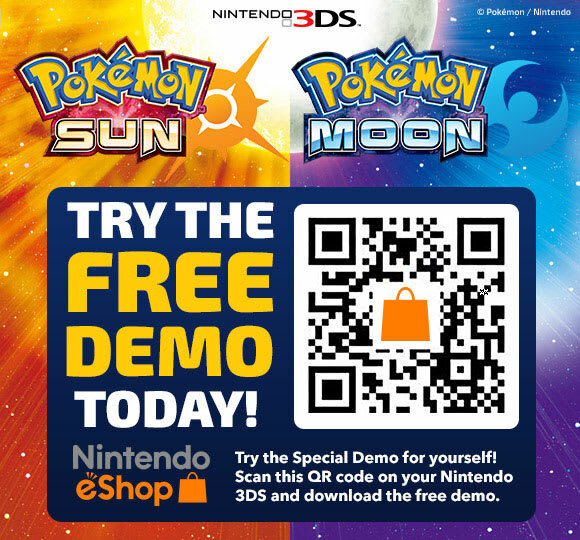 Click here and scan the QR on your Nintendo 3DS to try the Pokémon Sun & Moon demo. All Games All Merchandise Ultra Sun & Ultra Moon Sun & Moon Omega Ruby & Alpha Sapphire Gold & Silver Red, Blue & Yellow X and Y Digital Games Toys & Collectables Pokemon GO Chargers Trading Card Game Clothing Books Films Homeware Posters Find out more!